Jump Inc Trampoline Park Sheffield is a 24,000 sq ft spring-loaded urban playground nestled right next to Meadowhall, one of the UK’s biggest shopping centres, and just a stone’s throw from Junction 34 of the M1. 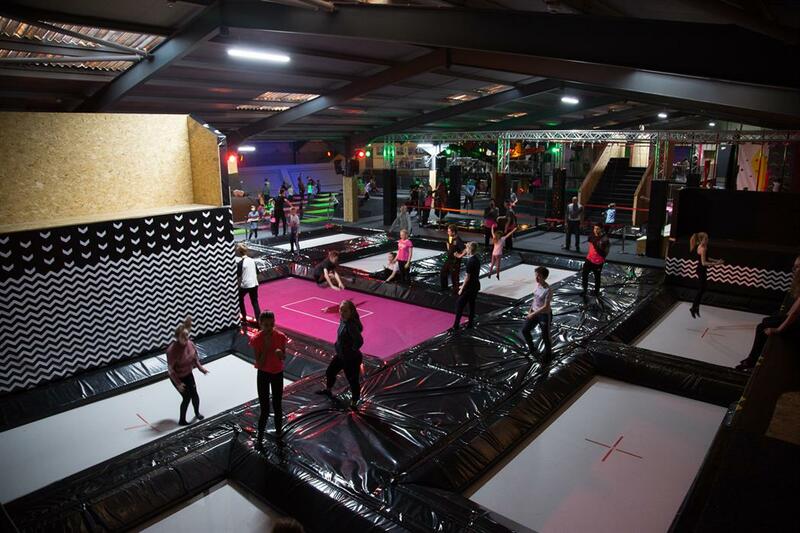 This newly refurbished building houses 120 trampolines, including Jump Inc favourites 3-Sided Walk the Wall, Big Air Bags, Slam Dunk lanes, Jump Tower and Tumble Tracks. Plus Ninja obstacle course, Half Pipe, Bouldering Wall and Freestyle Zone! Please note: an age-restriction applies at Jump Inc Sheffield due to the nature of the equipment and facilities there. Children must be 6 years old or older and Jump Inc recommend that all jumpers are over 1.25m in height as a lot of our activities have this height restriction (this also applies to birthday parties). To accommodate your little ones Jump Inc do offer specific Jump Toddler sessions which are suitable for children aged 5 and under. Alternatively, if you can’t make it to one of the Jump Toddler sessions, and you love to jump with your little ones, the Rotherham park is close by and offers a safe environment for them to bounce around and have a great time during Open Jump sessions. All jumpers aged 11 and under must be accompanied in our parks by an adult for the duration of their visit. The adult does not have to take part in activities but must be present in the building.